Plot - A wonderful romantic musical drama film about the early years of the popular Korean folk music scene at C'est si bon, a music lounge situated in Seoul in the 1960s. The film is inspired by the folk music duo Twin Folio. The movie revolves around three musicians Geun-tae, Hyung-joo and Chang-sik and how they formed their band C’est si bon Trio. 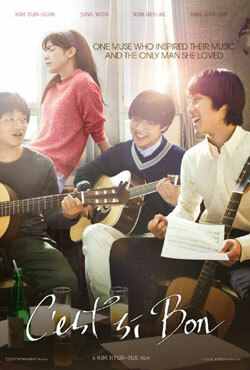 Ja-young enter their life and become their muse for the band’s love songs. The beautiful Ja-young fall in love with pure-hearted Geun-tae but they part ways only to meet 20 years later. Awards & Nominations Won by "C’est si bon Movie"
Box Office Earning of "C’est si bon"